about early 7th century B.C. Greek, Etruscan, & Roman Bronzes (MFA), no. 694; Sculpture in Stone and Bronze (MFA), p. 127 (additional published references). 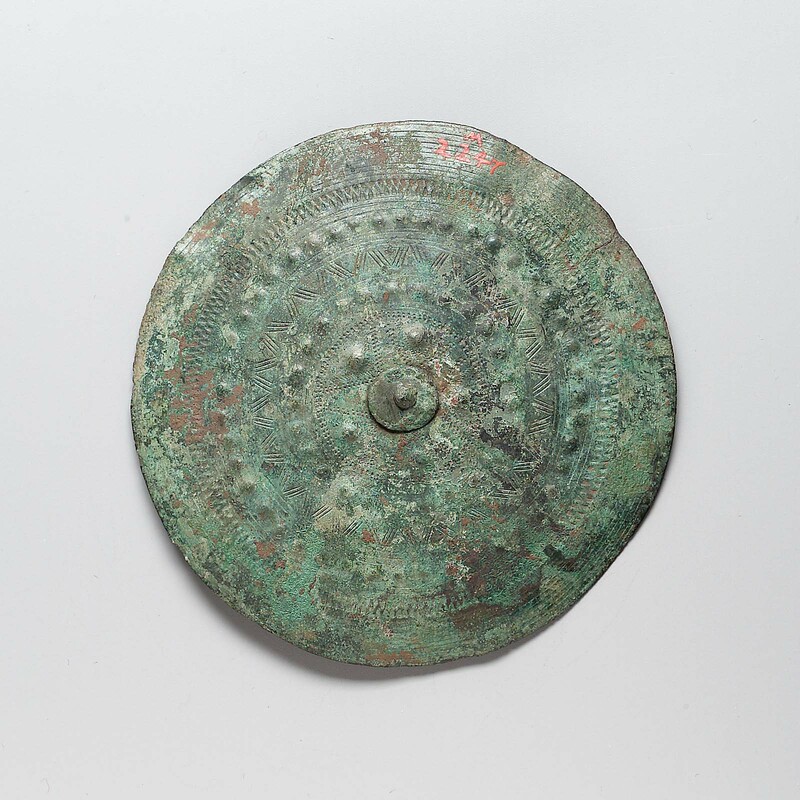 This disc was designed to be sewed on a leather or cloth breastplate or fixed on a wooden shield. It has perforated, incised, and knob decoration in concentric circles about a stamped, five-pointed star in the center. A rivet and a square ring fasten a circular disc on the front. Green patina, with some corrosion.